The Sandberg California VM4 MN BBS Blueburst Satin features variable pickup equipment and active electronics allowing the player to explore an extensive sound spectrum. The six-fold screw anchoring of neck and body is typical for Sandberg and promotes an even tone development and resonance through both body and neck. The California VM4 features an Ash body, while the neck is made of Maple with a high-gloss Maple fingerboard. 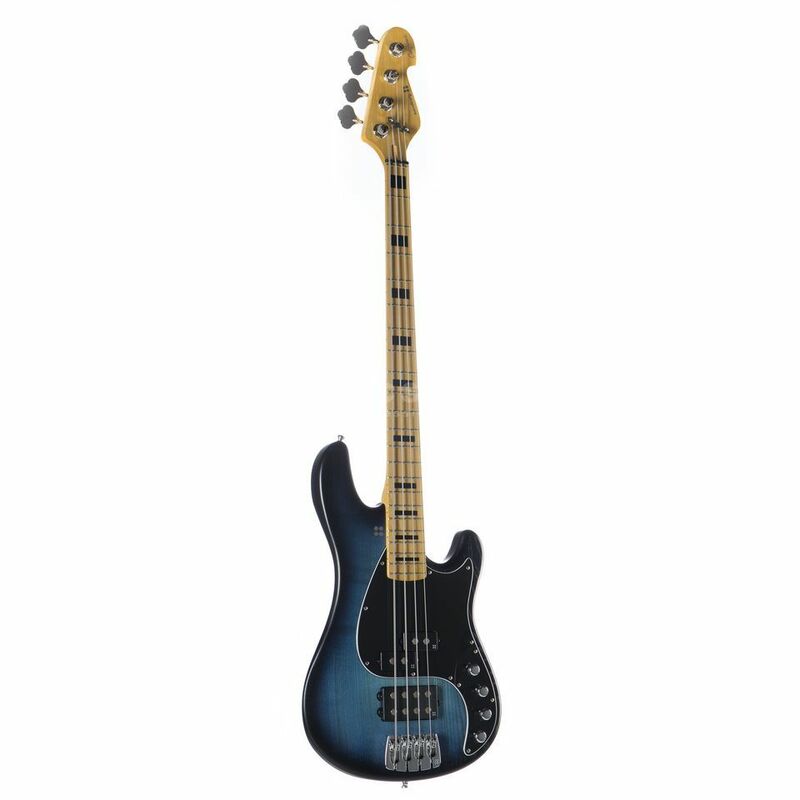 As such, the bass delivers a powerful, even tone, with dynamics well into the lower register. With its comfortably designed "C" profile, the neck nestles into the hand when playing bass, so that even complex bass lines can be played with ease on the comfortable fretboard. The bass features just-shy of a two octave range, topping out at 22x frets. Pickups are provided by a Sandberg Split Coil and Power-Humbucker in combination with the active 2-band tone control, giving the player complete control over the tonality and presence of the bass on the fly. High-quality Sandberg hardware completes the build of the Sandberg California VM4 MN Blueburst Satin. The solidly built Sandberg Bridge 4 contributes significantly to the even sustain of the electric bass and also guarantees perfect intonation and string position due to its three-dimensional adjustability. At the headstock, the strings are fed via a zero fret to the smooth-running Sandberg Machine Heads, which enable precise and reliable tuning for long-scale electric bass.